Brussels, 20 March 2011: To commemorate the twentieth anniversary of Slovenia’s independence, which is being celebrated this year with a series of events in Slovenia and abroad, the Embassy of the Republic of Slovenia in Belgium, in cooperation with the non-governmental organisation Sunbeams will plant twenty lime trees on Sunday, 20 March 2011. The event - entitled ‘Twenty Lime Trees on the Twentieth Anniversary’ - will be attended by the Slovenian Ambassador to Belgium, Mrs Anita Pipan, the Ambassador to the EU, Mr Rado Genorio, and the European Commissioner for the Environment, Mr Janez Potočnik. At the initiative of the Embassy, numerous Slovenes of all generations living and working in Brussels, and diplomats from other countries, will join the tree planting event. The event - which is included in the UN Billion Tree Campaign as part of the International Year of Forests - has several meanings for the Slovenian community in Belgium. It symbolically marks the twentieth anniversary, as the lime is one of the symbols of Slovenian identity and culture and a practical contribution of Slovenes living in Brussels to a greener planet and reduction in greenhouse gas emissions. 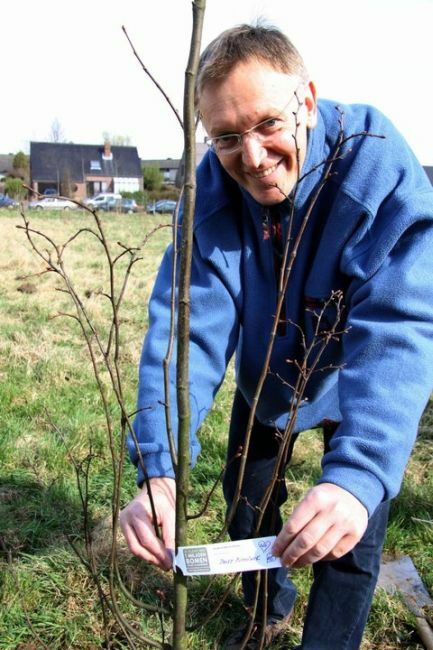 By planting the lime trees, many of the contributors will literally grow roots in Belgium. The Embassy’s initiative is based on knowing that tackling climate change is not only the responsibility of governments, but every individual, who should - by example and through their actions - add to the mosaic of activities needed to preserve nature and ensure the quality of life on the planet. By planting trees, we hope to spread the idea of tolerance and peace. ‘Twenty Lime Trees on the Twentieth Anniversary’ is the third event organised by the Slovenian Embassy to Belgium to mark the twentieth anniversary of independence. On 3 February the exhibition ‘Children of Europe’ was opened in Brussels, portraying the life in contemporary Europe as seen by children through photography. On 25 February, an evening with a piano recital and poetry reading was held at the Royal Conservatory of Music entitled ‘Child=Adult=Child’. On Tuesday, 22 March, World Water Day 2011, the Embassy is screening a documentary about the Soča River entitled ‘Timeless River’ to raise awareness about problems connected with water.